The ONLY Charity in Jersey specialising in the hire of powered scooters, powered and manual chairs, quad- and tri-walkers. Open 10am to 4.30pm Monday to Saturday except Bank & Public Holidays. We offer the service for the additional hours over the Christmas period provided there is advance booking. There is a registration fee for permanently disabled Islanders and a small loan charge for casual users. Parking is reserved solely for Shopmobility. Permits will be issued each time a chair or scooter is used at no extra cost. 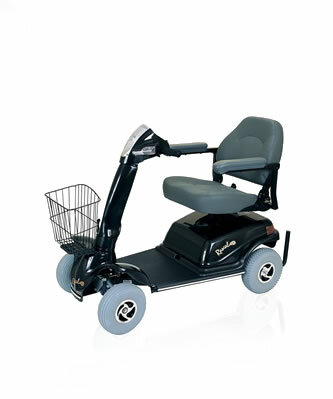 If you wish to book a scooter or chair, please ring 01534 739672, 07829 736797 or 07700 736797. For Durrell ring 01534 860071.